a) Joint Legal Custody: In joint legal custody, the parties share the responsibility of making major parenting decisions respecting a child. These decisions include areas of medical and dental treatment, education, child care, reli­gion, and recreation. One parent may be designated as the "primary" joint custodial parent. The primary is the person who would make the ultimate decision in the event of a dispute. Parents may have joint custody with the children spending 50/50 time with each parent. Parents may also have joint custody with one parent having standard visitation with the child(ren). Standard visitation is generally every other weekend with alternating holidays. Standard Summer visitation includes two weeks in June and July, and one week in August. Contact us for information about the visitation schedule standard in your county. b) Physical Custody: The child’s residence. c) Sole Physical Custody: One parent has the primary responsibility of the physical care of the child and makes all parenting decisions. The non-custodial parent generally has standard visitation, but may have extra visitation awarded in certain cases. Child Custody is always an issue of the best interests of the child(ren). Oklahoma law requires the court to consider the child(ren)'s physical, mental and moral welfare in determining their best interests: 43 O.S. 109. There are also mandatory considerations involving criminal activity and drug or alcohol abuse. 43 O.S.112.2. 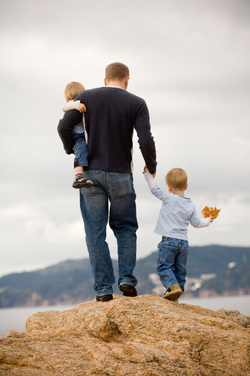 There are two types of custody: Joint Custody and Sole Custody. In Joint Custody, both parents share the responsibility of making important decisions about the child including, for example, medical and dental treatment, education, religion, and activities. 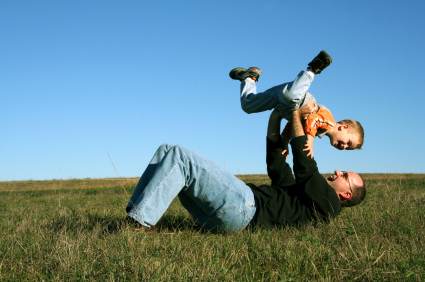 Parents can share Joint Custody, even though the child(ren) reside primarily with one parent. Your child should have frequent and continuing contact with both parents, and custody should be awarded to the parent who is most willing to ensure this. At the Father's Parental Rights Law Center, we believe and advocate that children should spend equal time with both parents and share Joint Custody. The better parents are able to communicate with each other, the more likely a Joint Custody plan will work. In a contested custody case, sometimes it is necessary to ask for a Guardian Ad Litem, who is an attorney for the child(ren). The GAL will make a recommendation to the Court regarding custody. If you already have an Order regarding child custody, you can ask for a Modification if you meet the legal requirements. According to Oklahoma case law Gibbons v. Gibbons, if there is a permanent, material and substantial change of condition in the child(ren)'s environment which directly affects the best interests of the child(ren), and the child(ren) would be substantially better off with respect to their temporal, mental and moral welfare, then you may seek a modification of custody. Contact us to see if your circumstances may qualify. In Oklahoma, a child may express a preference as to which parent he/she wishes to live with at age 12. 43 O.S. 113. Contact us if you need help with either establishing or modifying custody of your child(ren).